Design Your Custom Denim Jackets & Embroidered Denim Jackets. Customizing denim the way you like it. Offering you assistance on which denim works best for you based on your design and how to achieve your personalized denim jacket in the most convenient way possible. Sharing with you options that range from colours, washes, fabrics and finishes, making this a special; customized experience just for you. We believe it's truly design for difference. Denim fabrics chosen from some of the best mills around. 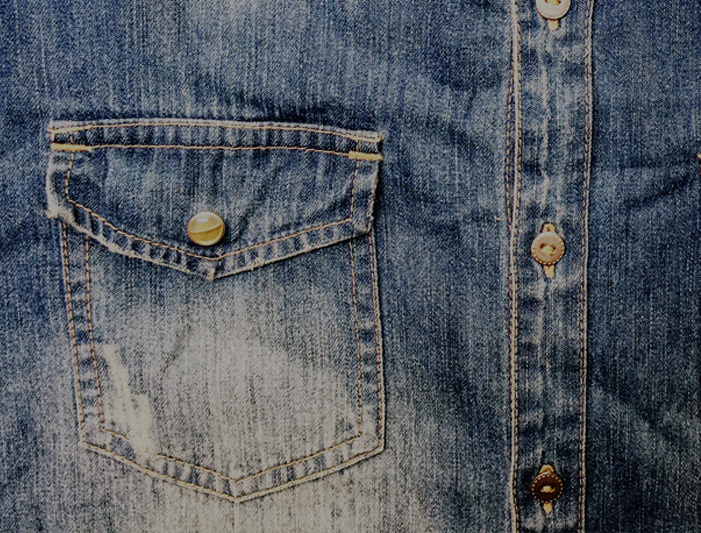 Giving you the choice to select a type, tone or weight for your custom denim jacket design. From acid wash to rinse wash, mid wash, light or bleach wash, all over tinting, coated or vintage wash. From selvedge or non-selvedge denim to raw or unwashed denim, all available under our roof. From the very simplistic to the most intricately elaborate, customizing your denim jacket with embroidery is as diverse a process, as it is flexible. Get your choice of artwork, design or logo embroidered on your custom denim jacket. Printed denim is all the rage, so we work with customers to find the right print for their denim jackets. We say the sky is the limit, so the possibilities are endless. 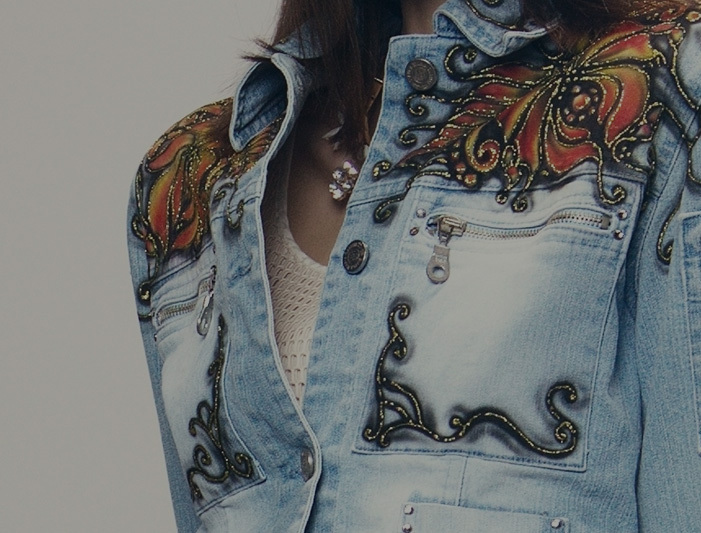 Whether through a single motif or overall design, add pizzazz to personality with your Custom Printed Denim Jacket. Custom denim jackets give you versatility in function and style. Offering you a diversely wide range of options that include printed custom denim jackets, faded denim jackets, plus sized custom denim jackets and embroidered custom denim jackets among many others. We’re not JUST dealing with jean jackets but offer an amazing opportunity to achieve personalized custom denim jackets of your choice. Imagine yourself in a denim jacket with patches, with customized motifs, prints, details and in colours that you relate to the most. Custom denim jackets for men, denim custom jackets for women, over-sized custom denim jackets and several other styles and gender-friendly options to choose from. Besides the wide set of options for custom denim jackets, that offer you an incredible array of fabrics, designs, details, colours and finishes, The Jacket Maker offers you many other alternatives, should a custom denim jacket not be your absolute favourite. Custom leather jackets, varsity jackets, custom trench coats, motorcycle jackets, custom bomber jackets and an unbelievably broad range of other options that you can choose from. Just as custom denim jackets have a limitless capacity for design or detail, while having the ability to fit your personality and way of life, the same can be accomplished with any custom outerwear. So we encourage you to make a request and let us handle the rest.